Yes. The top wire and third wire are electric, hence the insulators on the post. The second and bottom wires are earthed. Beautiful.. I love photos of fences for some reason. I never really noticed them reflecting the sky before like your wires are though or maybe that is because the fences I look at are never shiny enough. I think you have a great eye in that you see the beauty in all things. I see it too. Great photo ! Thank you Vickie. I certainly look at all things on the farm very differently than what I did 3 years ago before starting this blog. 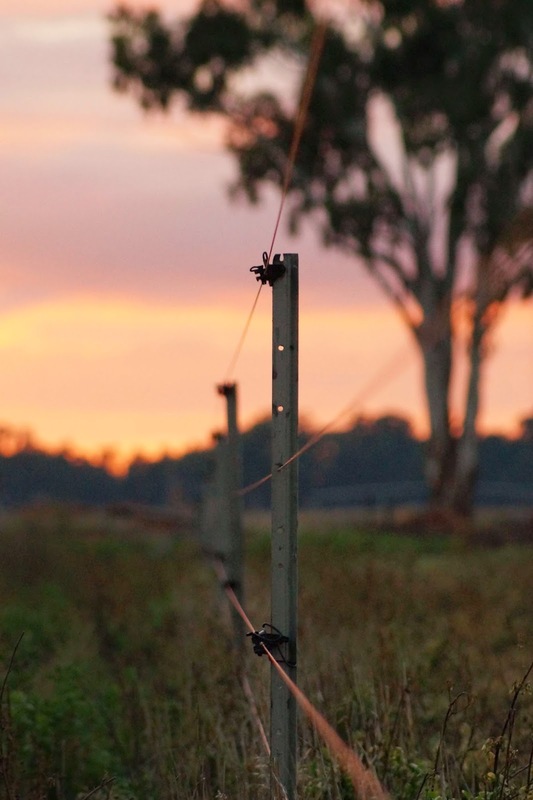 Great perspective on this...I would not want to get into that electric fence. It has been years and years since I have bumped, touched one. Simple but it works, brilliant photo.